Jenny is an Occupational Therapy Assistant and is Board Certified from National Board for Certification of Occupational Therapy. She graduated from Jefferson College of Health Sciences in 1994 with an Associate Degree in OT. 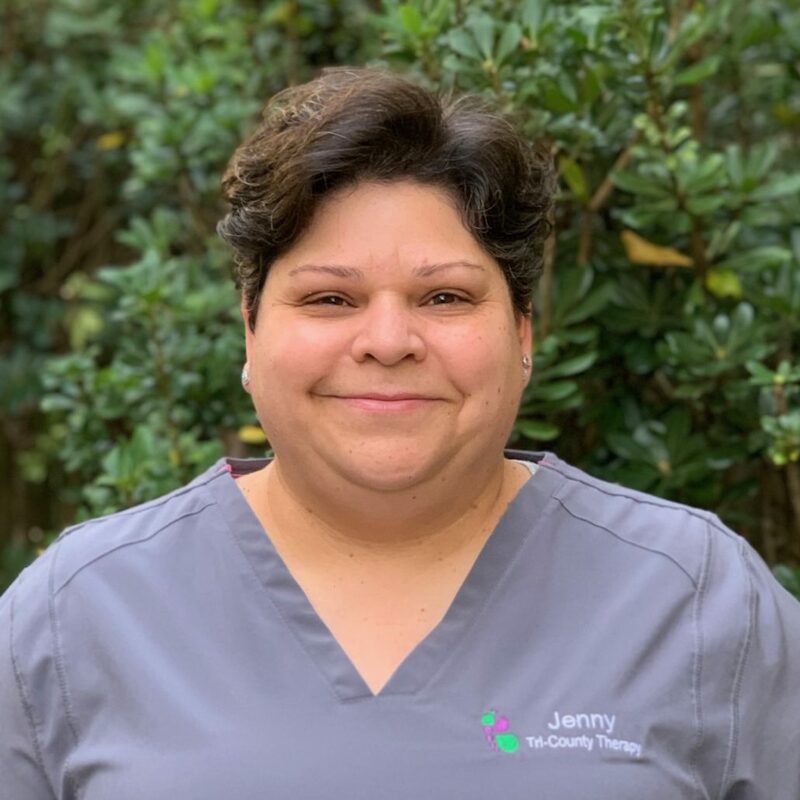 Over the past 25 years, Jenny has worked in school systems, home health and clinic settings, with her focus in pediatrics. She has worked with a variety of diagnosis over the years including Autism, ADHD/ADD, fine and gross motor delays, sensory motor deficits and severe and profound/medically fragile. Her continuing education has focused on sensory integration, PECS (Picture Communication Exchange), Assistive technology and Autism. In addition, she’s completed training in Handwriting Without Tears and Beckman Oral Motor Protocol. Jenny recently moved here from VA with her family and four cats- Frankie, Leo, Nellie and Rory. They enjoy exploring Charleston, surrounding areas and the beach.